Rochelle Marks is working hard to build a name for herself that has nothing to do with her pinup-girl curves. She's made mistakes in the past, and now she's trying to stop her little sister, Stacy, from making worse ones. Rochelle's done with being nothing more than someone's good time. Even if that someone is the one-night stand who turned her life upside down before vanishing - and who's just arrived in Paradise, Idaho, looking to pick up where they left off. Kayla Chambers knows what love is - and what it isn't. When her boyfriend turns abusive, she and her son escape to a new life in a place where he'll never find them. The idyllic town of Paradise, Idaho, has everything she needs to get back on her feet. Survival is her only goal, and the last thing she wants is another man in her life. My son, Logan, wants to have birthday parties, make friends, play at the park - all the normal things that seven-year-olds want to do. All the things I want to do with him. I've put up walls around our life to shield us from danger. Giant barriers to ward off possible threats. Cora Chapman crashes through them like a wrecking ball. She's intelligent and hilarious, with soft curves and a spark that ignites a flame deep inside of me. There's only one problem - she's Logan's teacher. Beth Schaefer isn't just on the partnership track at her Portland law firm, she's in the lead. Unfortunately, she's about to fall at the finish line. When she makes a list of breakdown destinations, she can't even manage to choose between them. Which means she has to come home to Wild Horse, Idaho, for her breakdown. She has exactly 18.5 days of accumulated vacation time to devote to it. Tamika Cleary takes a wrong turn up a one-way street - and straight into Thibault Delacroix's leg as he steps into the road. But Mika's in a hurry, and she certainly doesn't have time for a guy who can't even look both ways before crossing, even if he does have a cute face, a body to die for, and the darkest, thickest eyelashes she's ever seen. Unfortunately for Mika, fate has other ideas. When she's threatened by her employer, a Russian mafia boss known as "The Thief", she's forced to accept Thibault's help. 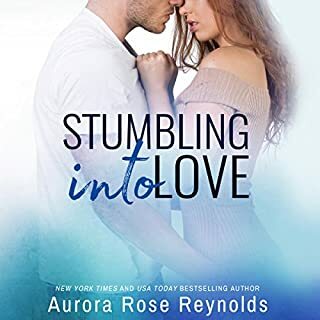 Rafe Blackstone may play the sexiest werewolf superhero to ever melt a woman's...heart...on the big screen, but Lily Hollander has already been bitten once by an actor, and once was enough. 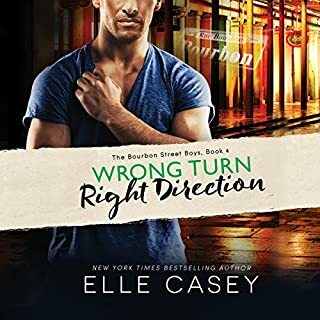 When she's fooled all over again, it's time to put that wayward heart in lockdown mode, especially once Rafe starts aiming his overprotective streak at her identical twin. Lily may seem like the softer side of the twinship, but nobody messes with her sister. Brett Hunter’s life isn’t unicorns and rainbows, and it sure isn’t sparkles. He’s a businessman, a disciplined man, a money man, and if he ever believed in magic, it was a long time ago. He’s not a hero, and he doesn't play one on TV. Oh, and he really doesn't like the water. What’s he doing, then, on an Australian beach in a custom-made Italian suit, up to his waist in the waves and helping a red-haired mermaid save the day? Marko Sendoa isn't a beach man. He's not an Auckland man. He's a hard man. Born Basque, raised in the heart of New Zealand's Southern Alps, and bred on hard work, discipline, and getting the job done. It's not easy for a rugby flanker to make it to age 32 at the top of his game, but he's done it. Next year is the Rugby World Cup, and he'll do whatever it takes to be on the field in the black jersey when the anthems are sung. He doesn't need a kitten. He doesn't need a pregnant cousin. He definitely doesn't need a too-short, distractingly curvy, totally unimpressed Maori barista. When the woman he loved walked out of his life, Brooks Alexander was certain she did so willingly - with the cool two million his father had offered as incentive to walk away. So when the former Marine Scout Sniper learns that Darcy didn’t take a dime of his father’s payoff, Brooks realizes he made an epic mistake. He’s determined to make things right and reclaim his woman. Except neither task is as easily accomplished as he first thought. Libby Reed is over it. Or that’s what she tells herself. She’s lusted after one of New York’s bravest for years, but firefighter Antonio Moretti has doused her interest for the last time. As much as she wants the jerk, they can’t even be in the same room without setting each other off…which might be a problem now that she’s volunteered to help out in his family’s restaurant. Antonio’s been burned before. Now he knows better than to trust a pretty face and follow another pair of long legs into heartbreak. But while Libby might rub him the wrong way, he can’t deny the heat between them. Mackenzie Callaghan has officially been stood up. Not only has she wasted two years on Mr. So Not Interested but now she doesn't even have pizza and the Mets to keep her company. Then he walks into her life—more than six feet of rugged, hot stranger. Maybe, just for tonight, Mac can pretend to be a girl she's not. After all, she deserves a little no-strings fun… As far as Wesley Porter is concerned, one night with Mackenzie isn't nearly enough. She's a mystery he wants to solve— if he can keep her from running for the door every time they touch. Former Army Ranger Jim just wants to do his job, raise his daughter...and resist the gorgeous, redheaded reminder of his bad-boy past. Their one unforgettably hot night together had major consequences, and now there's a fortune and a family legacy at stake. But when Hallie is threatened amid a storm of uncovered secrets and conflicted loyalties, protecting her becomes more than a duty: it's a deeply personal fight Jim's heart won't let him lose. This book starts with a murder, committed by an unnamed person, of a loathsome human being. A man with money and power, who bullies everyone around him. No one in the small Idaho town is sad to see him die, including local sheriff Jim Lawson and the man's estranged daughter Hallie Cavanaugh. It is this murder, and its aftermath, that take center stage in this fourth book of Rosalind James' "Paradise Idaho" romantic suspense series. Although the previous books in this series seemed to focus more on the romance, this one falls much more firmly on the suspense side, and I think it's better for it. The story kept me guessing, right up until the very end, on who the murderer was. I thought I knew, then I changed my mind, then I changed my mind AGAIN, then I was wrong anyway. The mystery was a good one, and the action built up from small acts to deter Hallie from staying in town to fulfill the (unfair and frankly bonkers) terms of her father's will, to the killer's truly sinister intentions. I kept reading because I wanted to know who did it, and what they would do next, and I fell for just about every red herring sent my way. The mystery was compelling, but Jim and Hallie's romance was also a draw. They had a brief, tragic fling in high school, and hadn't seen each other in years. Jim is a widower with a young daughter, and Hallie has perfected the art of running away. Their relationship wasn't easy, or full of the usual lighthearted flirting and banter in a typical romance novel, but it was sincere and engaging. Overall, I really liked this book, it was well-written, well executed, and compelling all the way through. This book can be a stand alone listen. Brittany Pressley was good with the narration of the story, however, I think the dual narration in the first two books was superb. The narration was okay but would have been better with the duet style narration of the first two books in the series. Brittany seemed to narrate with a bit of a southern drawl that didn't make sense. Absolutely worth price. I would pay it all over again. This is one of James' best books to day. It's such a unique and clever story, with the addition of strong, yet flawed characters and a mystery that i actually couldn't solve until the very end. I was really surprised i couldn't solve the mystery as fast as i normally do with books. about halfway through i can figure out who the killer is but this one really threw me for a loop. i was so happy when this finally happened because it breaks the monotony of predictable books. also, this is the first time i've ever heard brittany pressely. she was really fantastic and she really added an extra bit of depth to each character. i thought that jim and anthea had really deep voices (almost too deep) but i realized that it was just a perfect choice. i mean, they're twins, and all women don't have to have squeaky, high-pitched voices. i just thought this was a really fantastic book that broke away from the "typical" suspenseful romance. 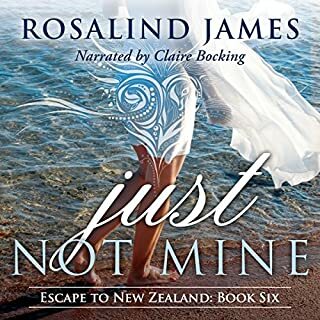 if you are a fan of Rosalind James or the genre, this a great book to read, and you don't even have to read it in the order the books were written. I received a copy of this book in exchange for an honest review. the view expressed here is my own and i was not obligated to give a positive review. This book kept me on my toes throughout. I was so wrong so many times as to the killer. Loved Mac and Anthea. Great love story and mystery. Thanks again RJ. This book didn't hold my attention as well as the previous books in this series but it really picked up toward the end and finished with a bang! 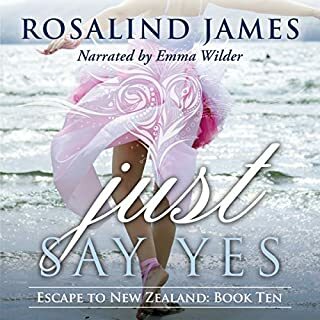 Rosalind James is still one of my favorite authors! Oh my god I loved it! If you could sum up Take Me Back in three words, what would they be? What was one of the most memorable moments of Take Me Back? Where to start, it was awesome. Hallie and Jim are reunited when her dad dies and Hallie returns to hear the will being read. She is shocked to hear what the will says and see's Jim again for the first time in 14 years. They have a history and a lot of misconceptions to work through. I loved the mystery and romance of this story. Don't want too give anything away, but the ending was better than I could have imagined. A must read! What does Brittany Pressley bring to the story that you wouldn’t experience if you just read the book? I tend to read books quickly and Brittany Pressley does a great job of slowing me down and letting me really experience this book. I got more out of it by listening to it than by reading it. An amazing book and I highly recommend this book. It has a great mystery that kept me guessing throughout the entire book. The romantic story is also a fun story. Jump right in and be entertained by a romantic suspense story that is delivered superbly by Brittany Presley. The voices, accents, and pace she uses makes me feel like a witness at the event rather than just hearing a book be read to me. Don’t worry if you haven’t heard (or read) the previous books in the series before… you’ll most certainly want to afterward and in the meantime, this one stands solidly on its own. 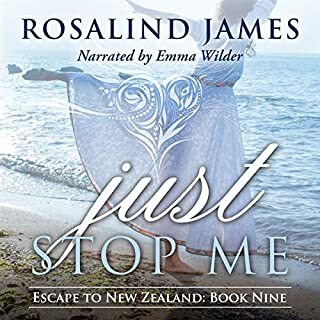 I enjoyed the suspense that Rosalind James created, she provided a nice pool of characters as possible villains and did a good job of not letting the “who done it” be a forgone conclusion. The romance was tender and creative (who wouldn’t want to play a game of pool with Jim?!?) with a compelling combination of protectiveness and supportiveness. Add in the way Jim relates to his daughter Mac and he’s irresistible. Hallie as heroine is no slouch, she’s taken the hand that life dealt her and moved on, making the most of it displaying strength and sensitivity to those around her. When I read this book for the first time there was a moment or two where the author seemed to apologize for her characters’ choices / thoughts / opinion which created a hiccough in the flow of the story for me personally. However, when listening to the audio those moments were not nearly as distracting and actually compelled me to go back and read the whole book again. I actually liked it better then, catching a conversation or two and absorbing several scenes that somehow hadn’t quite connected with me the first time around. I can’t end this review without mentioning that once again, this author wrote a secondary character who stole my heart. Mac is a delightful combination of bright, plucky, respectful (not quite always), snarky, responsible, sensitive, NOT-perfect tween. And everyone could use a best friend like Anthea! Terrific Audiobook - Highly Recommend! 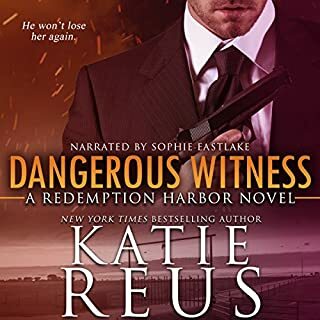 I so enjoyed this audiobook - it's got great characters, a complex storyline, and the narration adds depth beyond the Kindle version. There is so much more than you'd expect from stereotypical "romantic suspense" - family situations both good and bad, love & grace, and all the nuances of living in a small town called Paradise. This narrator reveals it all with ease and overall does a fine job presenting this story. Although part of a series, this book stands alone and I highly recommend it if you're looking for a nice read. And then you'll want to pick up the rest of the Paradise books. And then maybe "Escape to New Zealand"! But this one is a keeper, for sure. I received a free copy of this audiobook in exchange for an honest review - this opinion is my own. My favorite of this series!! Another great book by Rosalind! 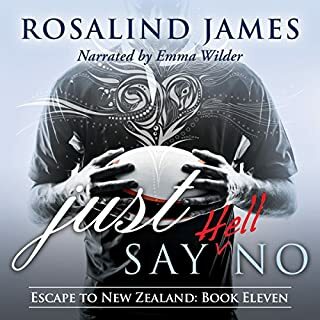 I am a huge fan of Rosalind James, but I really enjoyed the reading of this book. I don't have a lot of experience with audiobooks, but I really enjoyed the reading. I like the way that Rosalind develops her characters and their relationships between them. She does a great job with bringing in outside characters, linking story to story.